JAPANESE magazine Young Machine claims that Kawasaki will have a new 650cc supercharged bike on display at the Tokyo Show at the end of October. 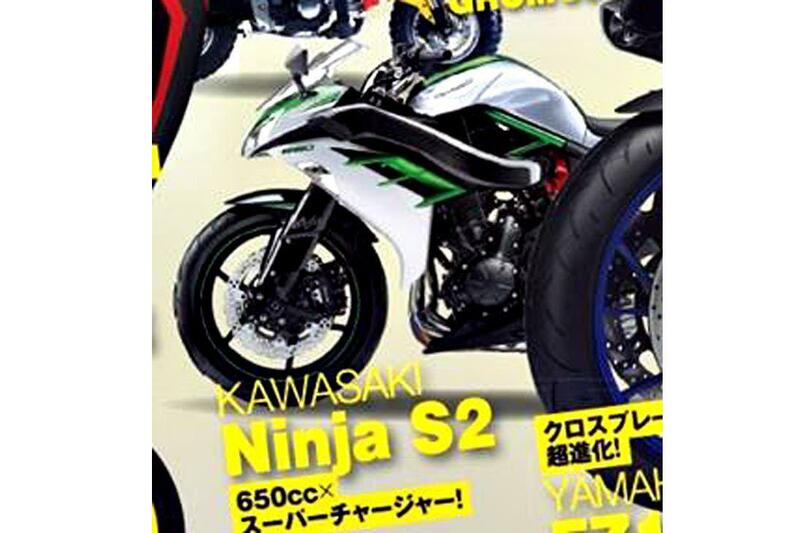 Details are scant, but the report says the bike will be called the Ninja S2, and its mocked-up image shows a two-cylinder supercharged machine along the lines of the 1000cc H2, but based on the engine from the ER6. However, other Japanese sources are reporting that the next supercharged Kawasaki will be a 600cc four-cylinder derived from the ZX-6R. Like the H2, the bike is shown with a trellis frame and a prominent intake hose running down the left hand side to feed the supercharger mounted behind the engine. True, or just speculation? We’ll find out soon enough. Sounds like a tempting prospect, though, particularly if the price tag is more affordable than the H2’s. Could a new Yamaha FZ1 look like this? So what is the Ninja R2?